The Stations of the Cross are usually observed during Lent, especially on Lenten Fridays and most importantly on Good Friday. 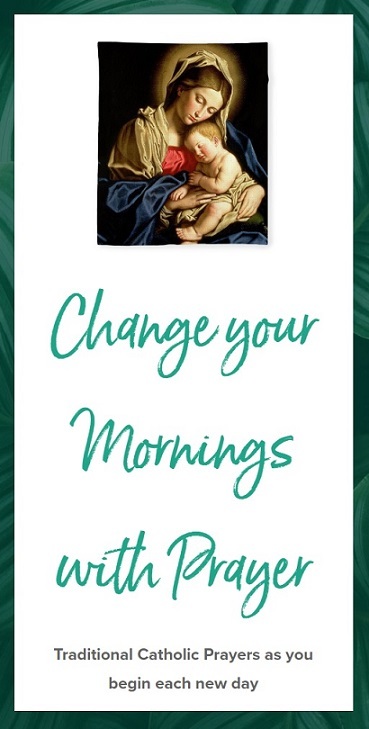 It is one of the most popular devotions for Roman Catholics. The devotion consists of meditating on 14 events which form the 14 stations of the cross. The purpose of this devotion is to focus on the Passion of Jesus Christ. Here is the long version of “Stations of the Cross” or “Way of the Cross” with meditations and prayers. O Jesus, our adorable Saviour, we now contemplate Your sacred passion. Help us to understand that the sufferings of our life are the continuation of Your passion. We ask for strength of our souls to go through our passion, in the spirit with which You went through Yours. Amen. Leader: We adore You, O Christ, and we bless You. Leaving the house of Caiaphas, where he had been blasphemed, and the house of Herod, where he had been been mocked, Jesus is dragged before Pilate, his back torn with scourges, his head crowned with thorns; and he, who on the last day will judge the living and the dead, is himself condemned to a disgraceful death. It was for us that You did suffer, O Blessed Jesus. It was for our sins that You were condemned to die. Oh, grant that we may detest our sins from the bottom of our hearts, and obtain your mercy and pardon by repentance. Leader: Have mercy on us, O Lord. A heavy cross is laid upon the bruised shoulders of Jesus. He receives it with meekness and with a sense of commitment, for it is the instrument with which he is to redeem the world and to accomplish the mission for which his heavenly Father has sent him. O Jesus, grant us, by virtue of your cross, to embrace with meekness and cheerful submission the difficulties of our life, and to be ever ready to take up our cross and follow You. Bowed down under the weight of the cross, Jesus slowly sets forth on the way to Calvary, amidst the mockeries and insults of the crowd. His agony in the garden has exhausted his body. He is lacerated with blows and wounds; his strength fails Him. He falls to the ground under his cross. O Jesus, who for our sins did bear the heavy burden of the cross and did fall under its weight, may the thoughts of your suffering make us watchful over ourselves and save us from any grievous fall into sin. Still burdened with his cross, and wounded yet more by his fall, Jesus proceeds on His way. He is met by his loving mother. What a meeting must have that been! What a sword of anguish must have pierced the mother’s heart! What must have been the compassion of that Son for his holy mother! O Jesus, by the compassion which You did feel for You Mother, have compassion on us, and give us a share in her intercession. O Mary, most afflicted mother, intercede for us that, through the sufferings of your Son, we may be delivered from eternal death. As the strength of Jesus fails, and he is unable to proceed, the executioners seize and compel Simon of Cyrene to carry His cross. The grace of that cross changes the Cyrenean’s heart and from the compulsory task, it becomes a privilege and joy. O Lord Jesus, may it be our privilege to bear our cross. May we glory in nothing else; by the cross, may the world be crucified unto us, and we unto the world. May we never shrink from suffering but rather rejoice if we should be counted worthy to suffer for your name’s sake. As Jesus proceeds along the way covered with the sweat of blood, a woman, moved with compassion, makes her way through the crowd, and wipes his face with a handkerchief. As a reward for her piety, the impression of His sacred countenance is miraculously imprinted upon the handkerchief. O Jesus, may the contemplation of your sufferings move us with deep compassion. Make us hate our sins and kindle in our hearts, more fervent love for You. May your image be graven on our minds until we are transformed into Your likeness. The pain of his wounds; and the loss of blood increasing at every step of his way, weakens him; and Jesus falls to the ground for the second time. O Jesus, who did fall a second time beneath the load of our sins and of your suffering for our sins, how often have we grieved you by our repeated falls into sin! Oh, may we rather die than ever offend You! At the sight of the sufferings of Jesus, some holy women in the crowd were so touched with sympathy that they openly bewailed and lamented for Him. Jesus, knowing the things that would befall Jerusalem because of its rejection of him, turned to them and said, “Daughters of Jerusalem, weep for yourselves and for your children”. O Jesus, we mourn and will always mourn for you and for ourselves, for your sufferings and for our sins which caused them. Oh, teach us to mourn, so that we may repent and be saved from the dreadful end to those who reject or neglect you, their God and their all. Jesus has almost arrived at the summit of Calvary, but before he reaches the spot where he is to be crucified, his strength again fails Him, and he falls the third time. O Jesus, we entreat you by the merit of this your third and most painful fall, to pardon our frequent relapses and our long continuance in sin. May the thought of Your sufferings make us hate our sins more and more. Jesus at last arrives at Golgotha and they prepare to crucify Him. They strip Him of His garments and mock Him. O Jesus, strip us of all false esteem, conceit and pride and make us humble like you in this life, so that we share your glory with you in the life to come. The cross is laid upon the ground and Jesus is stretched upon His bed of death. With divine dignity and forgiveness, he lets himself be nailed to the cross. The blows are struck! The blood gushes forth! O Jesus, nailed to the cross, fasten our hearts to the cross, so that we may be united with you until we yield up our souls to you. For three hours, Jesus has hung upon His pierced hands. His blood has run in streams down his body, and onto the ground. In the midst of excruciating suffering, he has pardoned his murderers, given heaven to the good thief, and committed his blessed mother to his beloved disciple’s care. His mission of love has been accomplished. He bows his head and gives up his Spirit to God. O Jesus, we devoutly embrace your saving cross, on which you died so that we may have eternal life. We hail your cross, and lovingly accept our own. The multitudes have left the hill of Calvary. There is no one except the beloved disciple of Jesus and the holy women with Mary, the mother of Jesus. Joseph of Arimathea and Nicodemus take down the body of Jesus from the cross and place him in the arms of his afflicted mother. O Mary, mother of Jesus, your grief was so great, being a helpless witness to the savage way your Son was put to death. By his death and resurrection, we have become your children in Jesus. Help us by your intercession to be like your son Jesus. The disciples take the body of her dear beloved Son Jesus from his mother, and place it in the tomb. The tomb is closed and in it the lifeless body remains until the hour of its glorious resurrection. Heavenly Father, we have contemplated your Son, Jesus, on his Way of the Cross, in his Spirit which you have gifted to us. We accept our way of the cross. We know it will lead us to, where it led him to, our resurrection with him. We thank You for the joy of this vision of faith.